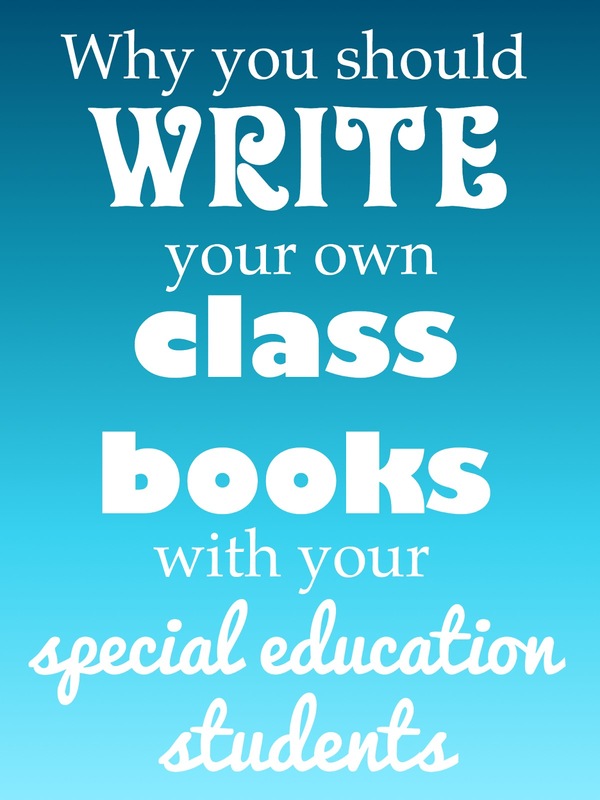 I love to write books with my class. When we write books that feature my students and things/places they know, my students are motivated to read and become more confident in their reading abilities (even when reading other things). Our class books are always a favorite of my students, and who can blame them. Everyone loves to be a star! We have written books after our community trips and also with our monthly mascots. For our community trip books, my aides and I take pictures during the trip and then put them together in a PowerPoint slide and together we decide what we want each page to say. Sometimes I need to help a lot, but my students can always contribute something, even if it is just who is in the picture. I say this, because if you think your students can't write a book, think again! ANYONE can do this! A couple years ago, we had a Nutcracker candle for our December mascot. 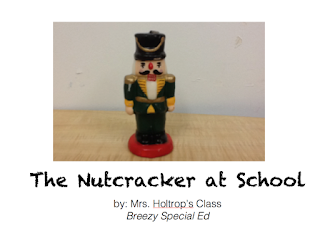 In order to make our book, each student had to think of two places to put the Nutcracker and take a picture with my iPad. Then I showed the pictures on the screen and together we came up with the words as a class, often with me giving simple sentence starters when needed. I usually make it a pretty big deal that they are authoring this book and are coming up with the ideas. 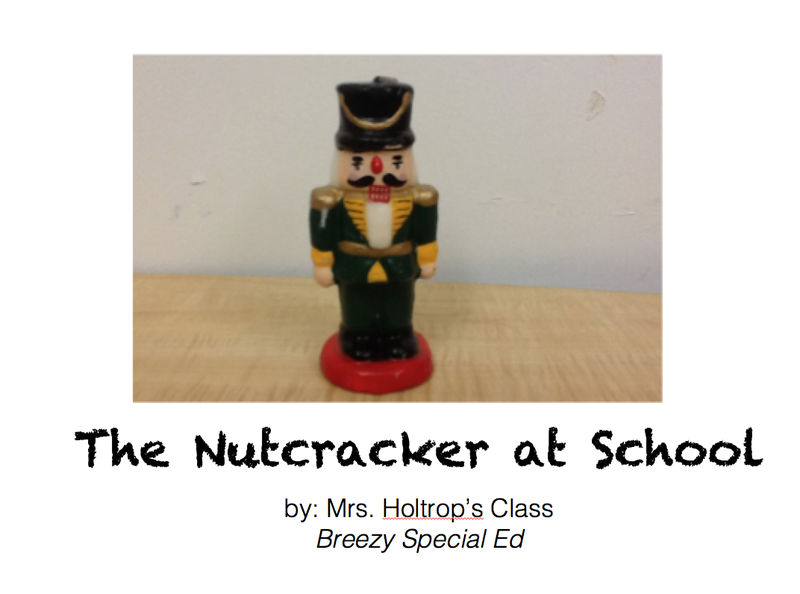 Download our Nutcracker Book for free! (All pages with students pictures have been removed). Do you make class books? I'd love to hear about them! !